FRENCH WHITE: Our French White is a stark, white, white. It is used for those beautiful, crisp, clean French Manicures. 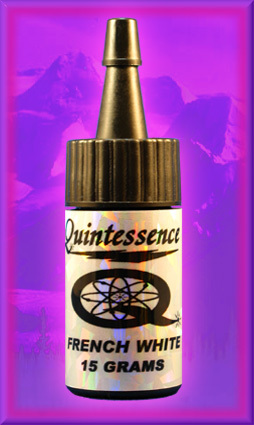 It can also be used for nail art and can be mixed with all of the other Quintessence Colors to create cool pastel hues. French White is available in 15 gram (0.5 ounce).